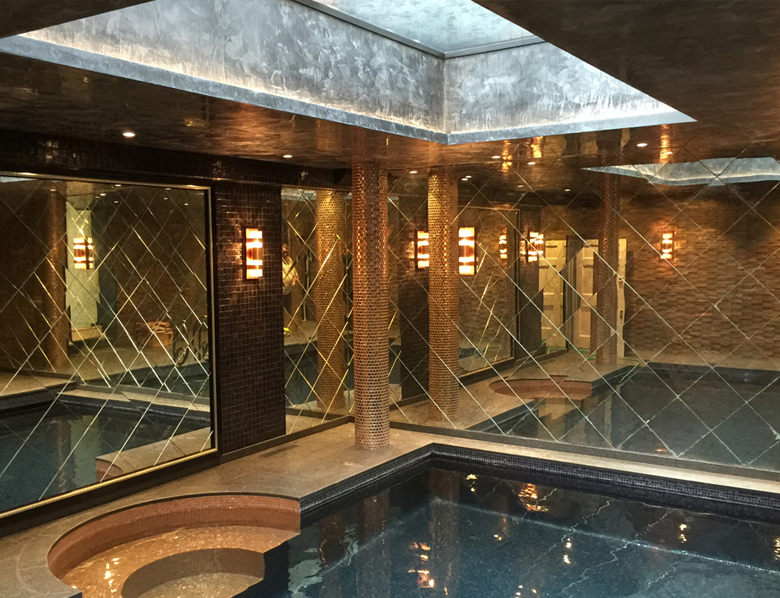 Our Baker Street project features the ultimate in lavish with gold pillars, a bespoke handrail using only the finest stone and mosaic available. 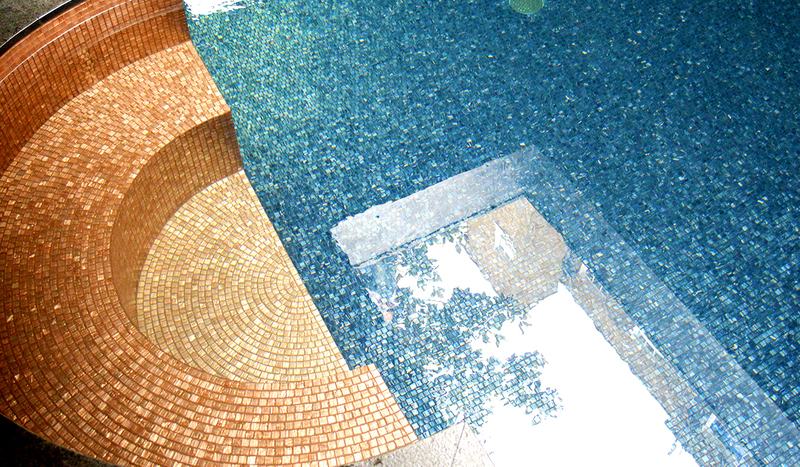 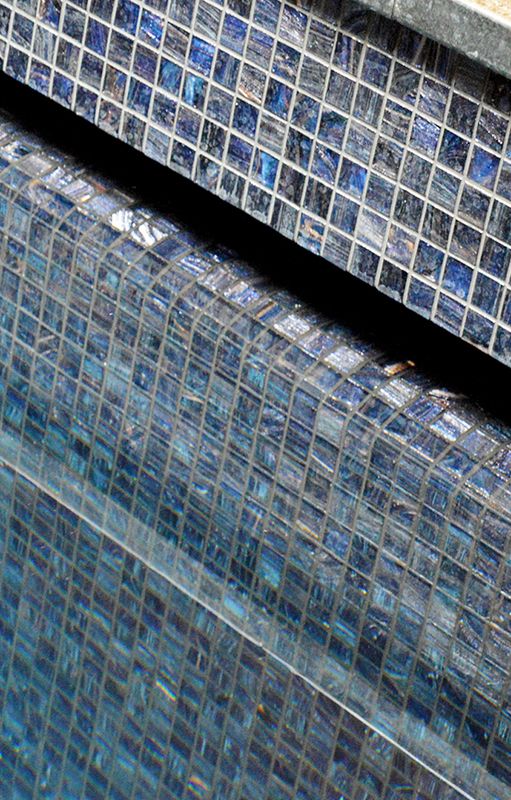 Swimming Pool Design worked closely with the designers to complete and commission this lavish luxurious swimming pool in Baker Street, London. 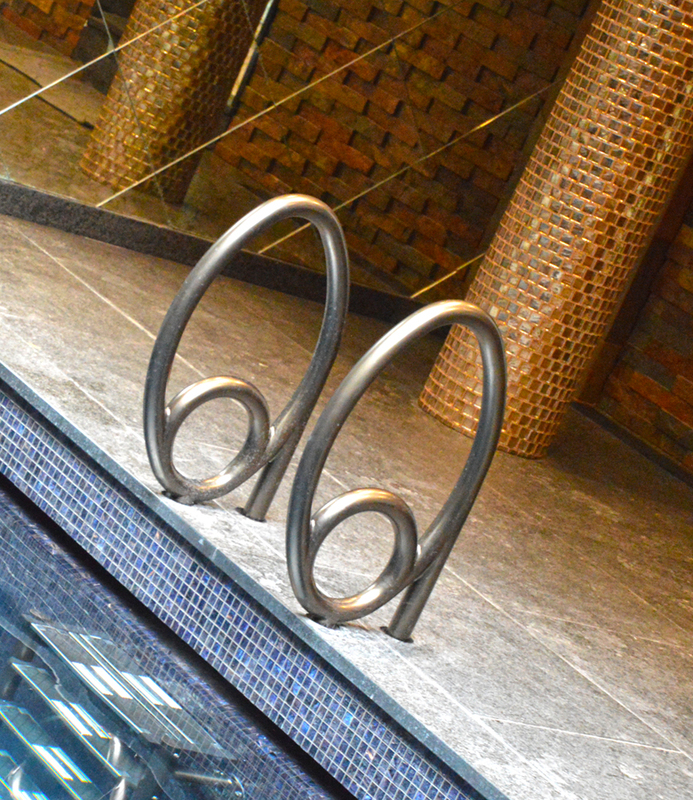 Bespoke and unique customisation was at the forefront of attention on this swimming pool featuring a handmade ladder handrail to the designers detail finished in a bronze powered coat. 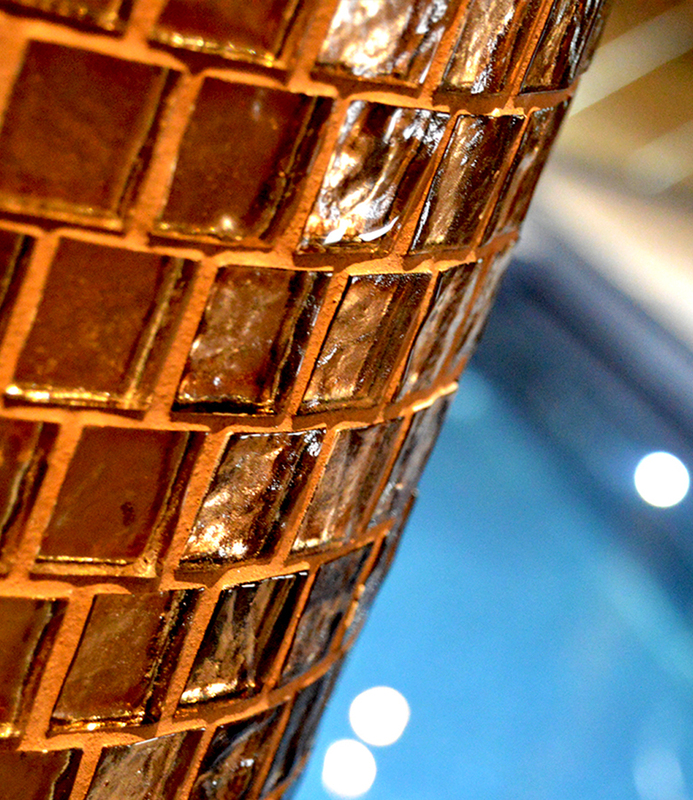 The internal swimming pool fittings and counter current were also finished in the same powder coating providing an aesthetically pleasing finish.